We are back from our honeymoon in Jamaica! Boarding the plane at 7 am with 4 hours of sleep after our wedding was a complete whirlwind. Honestly, I wouldn’t have done it any other way. 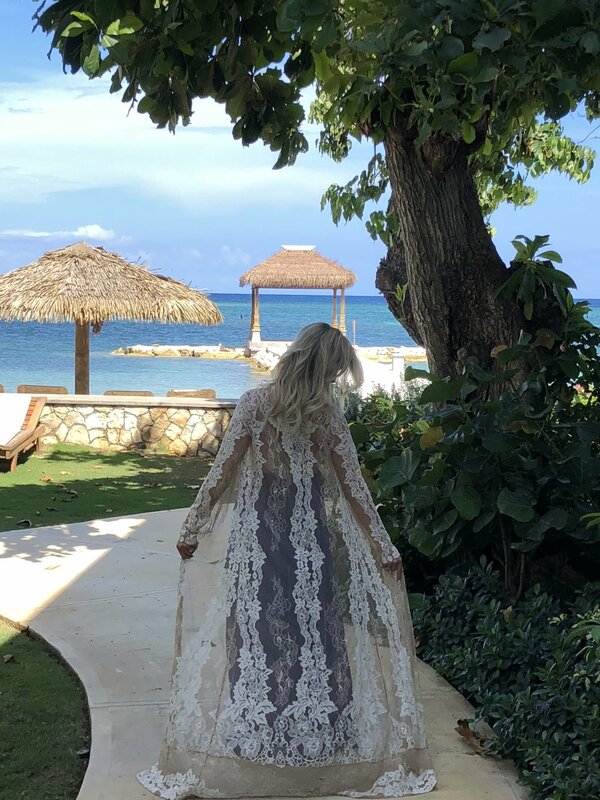 Pinching myself because it feels like it was a dream, landing in Jamaica after such a surreal wedding was a giddy feeling. Today I’m going to share all the details about the resort, Sandals Montego Bay. This post contains only my own thoughts and opinions. Getting married is a major undertaking (more on that later) but planning a honeymoon is no small task either. Setting expectations is key, discussing with your future spouse about what kind of honeymoon they have in mind will avoid later problems. We both agreed we wanted to lounge somewhere warm and soak-up all the good memories from our wedding….real original, right?! Honestly though this narrowed down options and ruled out a fast-paced sightseeing trip. Neither of us have traveled to the Caribbean so it’s blue waters and easy going attitude put it on the top of our list. After hearing so many wonderful stories about Jamaica, we made our decision. This was a bit of a dice-roll since September is hurricane season for Jamaica. We made sure to pay the trip insurance for peace of mind at the resort and on our flights. I would advise the trip insurance to take some pressure off. Next, choosing a place to stay and setting a budget is necessary. We settled on Sandals in Montego Bay in Jamaica for many reasons. 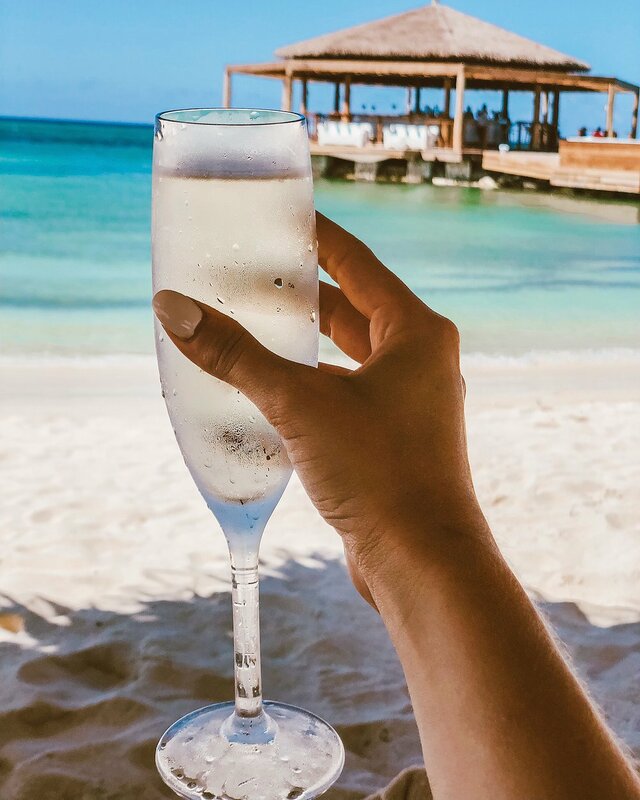 A honeymoon at Sandals in Jamaica is sort of like that scene in a Devil Wears Prada, “Florals, for spring?…Groundbreaking”. However, I will say it is cliche for a reason. It was perfection. The water is remarkably blue, the staff is beyond friendly, and the drinks are dangerously good. The rainstorm, locals called it “liquid sunshine”, even came every day for an hour right at the perfect time for a nap. 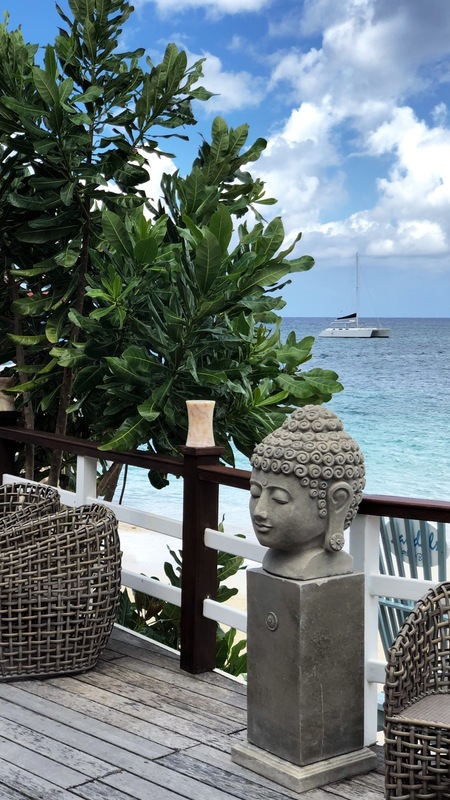 The place is chock full of honeymooners, which really is no problem since everyone is in a great mood and easy to make friends with at the bar. The resort is literally only a few minutes from the airport. There is noise from the planes but it is not bothersome. We splurged a bit on our room, the private butler and water front view was truly like paradise. Sandals had rooms at all different price points though. Our butlers were beyond kind, Kasey and Cassandra made our trip even better every day. For example, they noticed I loved chips and guacamole so they put in a standing order to be brought to the room at 4pm every day! Other times they would place flowers in our soaking tub or bring pizza to our chairs on the beach. I can’t say enough great things about these ladies and our stay with them at Sandals Montego Bay. 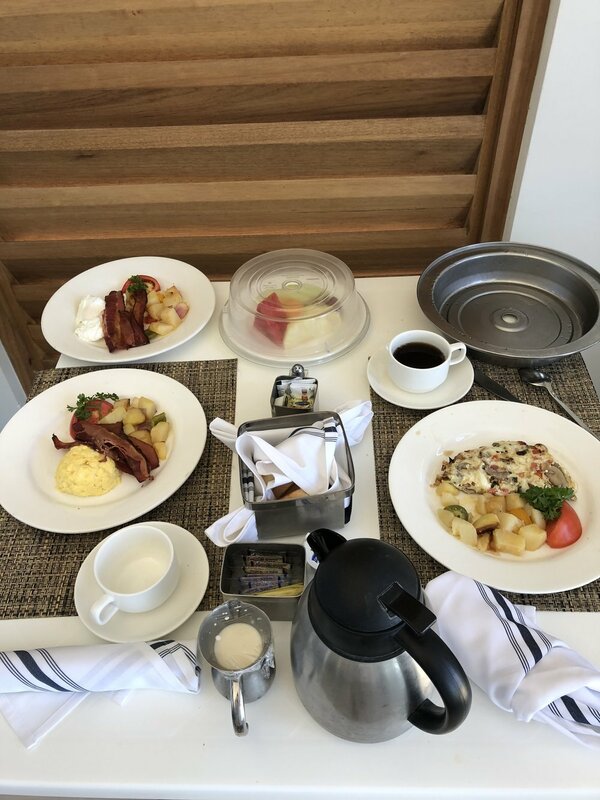 Ordering room service for breakfast on the balcony in the morning was our favorite with the sound of the ocean in the background. There were activities and water sports available for free but honestly, sitting next to the ocean and reading a book was our daily routine. The down time gave us a chance to bask in the wedding day memories. The food was good, nothing extra special. The jerk chicken quesadilla’s were a delicious nod to the local cuisine. The blended drinks were beyond refreshing. There was even an entire menu of them! Montego Bay just added an over-the-water bar that is stunning. It has nets over the water that are perfect for reading while sipping a fruity drink. Overall, I would highly recommend Sandals Montego Bay and Jamaica overall for a couple considering a honeymoon or romantic get-away.